Probably the most famous of bicycle is the mountain-bike, which was designed to cope with rough terrains. These bikes were built to have wider tires and have a better grip on the surface. The added springs help the rider to keep the balance and to navigate the rocky and difficult terrain. These bikes are durable, but on the other hand special accessories make them heavy and a bit slow on regular roads. On the contrary, road bicycles were designed to reach high speed on paved roads and be as light as possible. Tires are usually narrow and sleek to provide a minimum friction with the pavement. Most of these are used for races or long distance travel with some light packages. Road bicycles are also gaining reputation as way of tourism and recreation in Europe and the United States. The BMX rose to international fame in the 80’s with freestyle races and stunts performed with tis light and considerably lower bike. Contests started in the USA, mostly in California, as a freestyle challenge. The BMX got famous quite fast and it hasn’t lost its popularity amongst the youngsters of the world. Last but not least, we shouldn’t forget the beer bike. Originating from the Netherlands, this special bike is like a tandem bicycle for a group of people. 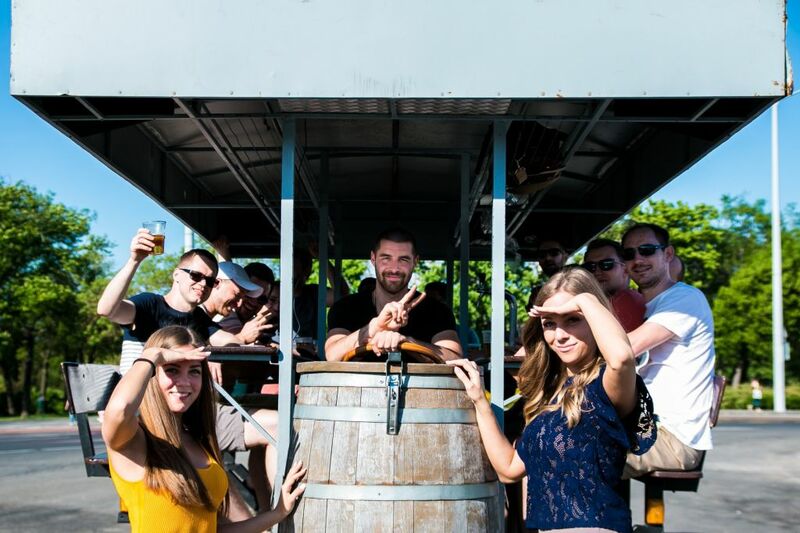 The beer bikes have around 8 people to pedal in a configuration that is vertical to the central axis of the vehicle, with a driver seated at the steering wheel of the bike. As a means of transportation, beer bikes have tail lights and some of them even have headlights and signals to be suitable for urban traffic. In some countries, electric engines are installed to the bottom, in order to assist the riders on hill terrains. Check out our offers and book your beer bike in Budapest today!